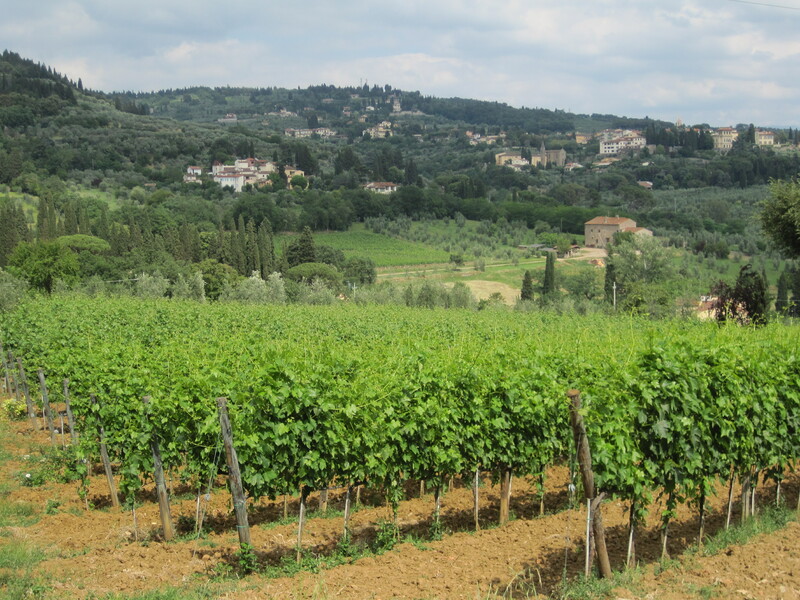 Through the olive groves, vineyards and cypress trees, there is a trail in the northern hills of Florence that leads from the Cave, old stone quarries of Maiano, to the ancient borgo, town of Settignano. 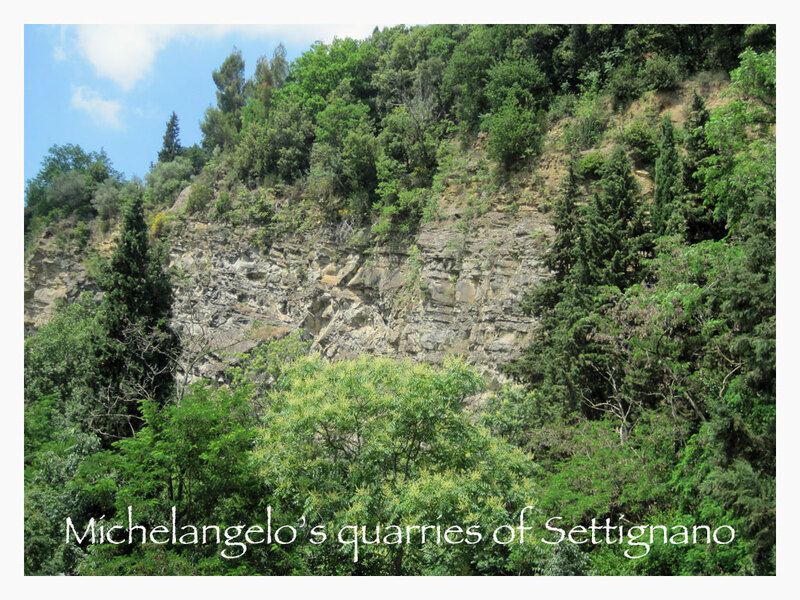 On this very trail, young Michelangelo walked from his hometown to his beloved quarries to select stone for his sculptures. With every footstep the history of the world was changed, during those enchanted days of the Italian Rinascimento, Renaissance. Nearly 700 years later, we set out on that same trail to follow the footsteps of the master. But rather than heading to the quarries, we imagined Michelangelo going home after a long day of work. Our destination, however, was a small restaurant on the main piazza in Settignano, named for another famous Renaissance sculptor, Desiderio da Settignano. 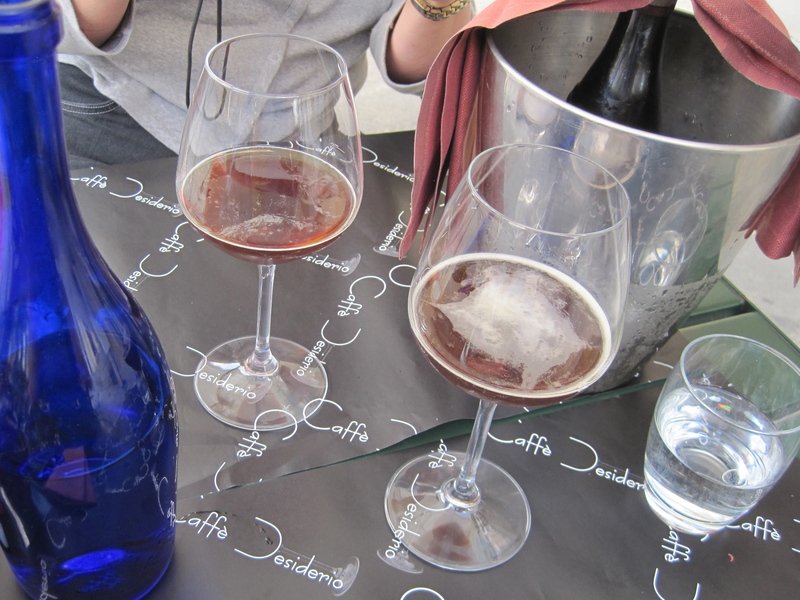 The restaurant bears the same revered name of Desiderio—what else could it mean but DESIRE! When we arrived, the owner, Michele, informed us that there would be perhaps a 30-minute wait before he could get to us. The place was full of life and conversation, as art and architecture students paused to refresh during their tour of the borgo and surrounding villas. We settled at a small iron table in the shade of large umbrellas out front. The piazza was especially charming that spring afternoon. Nothing could be better than to rest after a two-hour hike, soaking in the ambiance of that historic place. The wait was certainly no inconvenience. In fact, it was our pleasure. We talked about life during the Renaissance, and how life must have been so long ago. There surely was a palpable magic in that younger, more intimate Settignano, absolutely alive with brilliant artists with intoxicating and boundless energy. How interesting that the town would become identified with the creative force of young Desiderio, symbolizing the passion of that generation of creatives who ushered in the era of hope—humanistic compassion that lifted the world from the dark ages into the light of fresh new perspectives. What a bold initiative and a transformational rebirth for all of mankind! 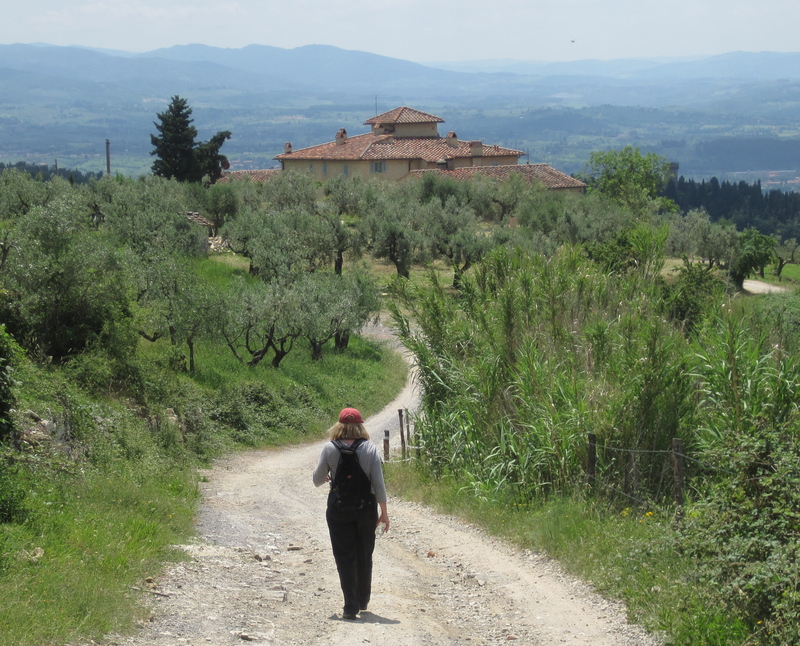 To this day, that simple wooded path is anchored on one end by the bountiful rich pietra serena, the porous gray stone of Maiano, that became synonymous with Italian art and architecture. At the trail’s other end there was (and still is) the possibility of good food and conversation about some of the greatest artists the world will ever know—and perhaps even the nurturing of new talent that will once again change the course of history. On that spring day, we were surely moved by the same spirit that swirled among those enchanted Florentine hills so many centuries ago. We were swept up by an overwhelming desire to take a short pause in our daily routines—to walk in the footsteps of those beautiful souls who cleared the pathway to possibilities beyond our wildest imaginations. With each and every step, we all carry forward their heartfelt intentions.